When I get stressed, upset, or frustrated… I usually turn to food yummy food, sinful food, fill my pain up food. This was my go to recipe today when I felt a little blue, thought I would share! In a large bowl cream PB, butter, and Vanilla. Add icing sugar, stir in cracker crumbs, walnuts, and coconut until a large semi sticky lump. Roll into 1 inch (ish) balls, place on cookie sheet and then slide into the fridge for about an hour. In a bowl over boiling water melt chocolate chips and shortening until smooth. (you can do it in the microwave at 15 second intervals but I don’t use one/have one). 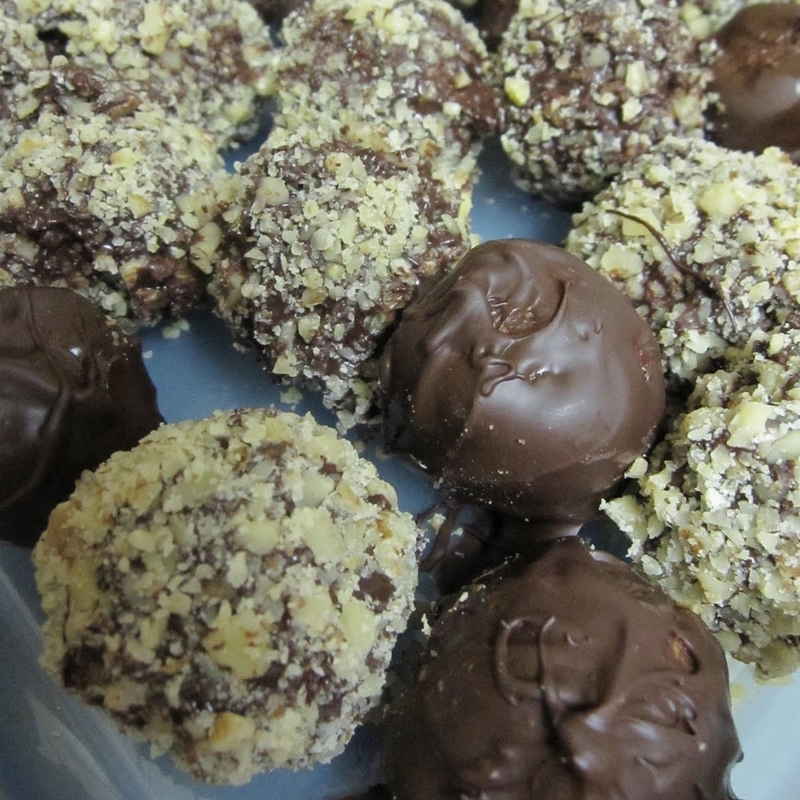 Dip balls into chocolate (this was messy and a little hard to do). Roll wet ball in either chopped nuts, sprinkles would be cute, or leave plain… its up to you. Let set. Store in a container in the fridge and enjoy! Let me know what you think in the comments, will you try them? Have you tried them? What did you think? I would love to hear your thoughts.